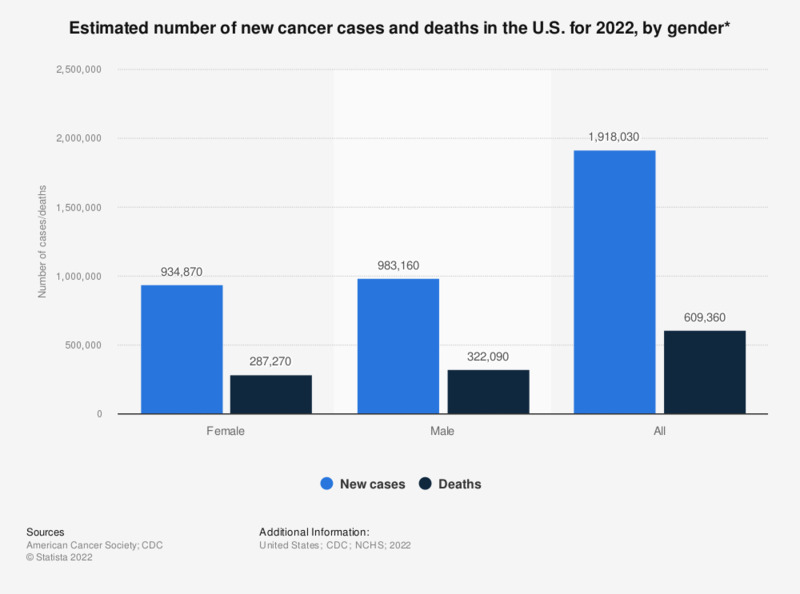 This statistic illustrates the estimated number of new cancer cases and deaths in the United States for 2019, by gender. For that year, it was estimated that there would be over 891 thousand new cancer cases among U.S. women. * Rounded to the nearest 10; cases exclude basal cell and squamous cell skin cancer and in situ carcinoma except urinary bladder.